4th Annual IndieWorks Best of Fest! IndieWorks screens short films every month produced by emerging filmmakers throughout New York. 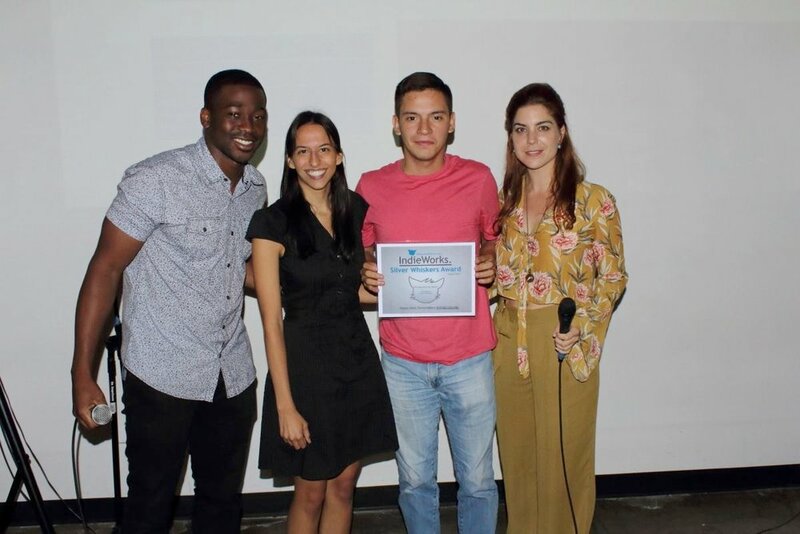 It provides a platform for those filmmakers to showcase their work in front of an audience and to network with individuals in the local film community. Our annual season runs June through March, culminating in our Best of Fest Finale every April. Next Tuesday, April 18th, all 9 Silver Whiskers Award winners of the year, along with 1 lucky Audience Choice winner, will screen and be eligible for monetary prizes through winning the Golden Whiskers Award, our version of Best Picture! We'll also be awarding Best Writer/Director, Ensemble Best Performance, Best Cinematography, Best Editing, and the audience will vote for the Ultimate Audience Choice winner! This year's Best of Fest will be held at The Local in Long Island City! As always, there's no entry fee, so bring all your friends and film enthusiasts. We're even giving out a prize to an audience member through a free raffle, and every single person that attends will receive 3 months of free streaming access to the Seed&Spark Cinema - currently hosting over 100 features, shorts and series. Each winner gets $50 towards a crowdfunding campaign should they choose Seed&Spark as their platform. And all films will be considered for the Seed&Spark Cinema. Submit your film for Year 5 through FilmFreeway.